One of the most important things to look for in a tutor is experience teaching or tutoring and mastery of the subject at hand. The best tutors do not necessarily possess education backgrounds. At Chicago Academic, we strongly believe that tutoring at the elementary school level requires a strong education background, specializing in early education. However, beginning with the middle school grades, tutoring is as much about mastering a subject as it is learning. For the younger students, tutors must teach the students to develop their learning skills, while in the later grades, they teach the specific material at hand. Examine the tutor's credentials. Ask about training, experience, and references. 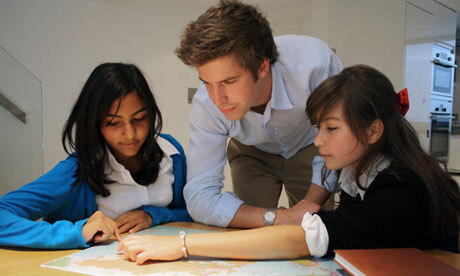 It is important that the tutor has expertise in the subject being taught and a proven talent for teaching. Find out whether the person has experience working with students at your child's grade level. If the tutor is working with a child with a learning disability, it is essential that they have been trained to use appropriate techniques that can address the student's special needs. Personality is as important as credentials in choosing a tutor. When interviewing a candidate of a service make sure to illustrate the type of personality you feel would best suit your student. It is one of a principal conversations when enrolling new families. Students must connect on a personal level with their students for any learning to be achieved. The session should include hands-on learning and be very interactive. The tutor should be guiding your child through direct teaching and guided practice. You should seek regular updates from the tutor as to the material they are covering, their strategy for improvement and any challenges they have identified. Our tutoring service provides online notes for all tutoring sessions for both parents and staff to monitor a student’s progress. This is a helpful tool to look for when choosing an agency in that it bolsters the constant communication between the tutor and parents. You, as the parent, are responsible for building the bridge between the teacher and the tutor. Some higher level agencies, such as ours, assist in this effort by designating educators on the staff to help monitor each student’s progress through review of the session notes and regular conversations with the parents, tutors and school teachers. The most effective tutors are well informed and fully supported. This is one of the benefits to hiring a robust service as opposed to an individual tutor. Make the learning environment in which a child learns one where he or she can focus and feel supported. A student is much less likely to allow emotional aspects of school affect their cognitive ability when they are working in a comfortable, safe, distraction-free setting. Tutoring a child in the comfort of their own home can yield excellent results. It is important to customize a tutoring plan to the individual student. Set clear goals for the tutoring and discuss an initial plan with the tutor. Whenever possible, ask your child's teacher to participate in the design of this plan so that it links to school work. Try to create a partnership between you, your child's teacher, and the tutor. If possible, schedule tutoring for the times of the day when your child is ready to learn. After-school hours are the most common time for tutoring but this is also when students are tired or distracted by other activities. Allow for much-needed breaks from the school routine. Consider scheduling more than one lesson a week. Students often need practice and repetition to master skills. Whether it be with an individual tutor, an agency or a teacher from your student’s school, the fundamentals to successful tutoring are a qualified, well informed tutor, involved parents and eager students. Allowing student’s to excel with the help of a tutor can only serve to increase their confidence and improve their academic achievement.